Who said Twitter campaign doesn’t work? Last week I thought things were fine in Asia. This was when the scoreboards were Mouscron-Peruwelz (gah) 5 Standard Liege 2 and MK Dons 4 Manchester United 0 (plus a concussion). But suddenly things look up. Start with the East, like the movement of sun is. K-League (Classic) continues its tradition of making into the semi finals of AFC Champions League, and the fancier Seoul defeat the unfancied (less fancied?) Pohang. Pohang’s indie rustic charm is something to admire – like Borussia Dortmund or Udinese. But somehow I just prefer Seoul’s cosmopolitanism. They have the only professional Spanish-Japanese footballer on Earth, after all (who is not that good). Homegrown players and local flavor must be something to be desired in modern club football everywhere (especially in Europe), but I’m bit worried that the “all-local” trend growing in Japan and Korea is more about racial purity than about pure football. A Korean will be surely playing in the Champions League final, provided he is not injured – Kwak Tae-hwi from Al Hilal or Lee Myeong-ju (who was in Pohang last semester) from Al Ain. A defender and an aggressive midfielder – the proverbial Chinese duel of shield against sword. And I’ve surprised myself by coming long way – cheering for an Australian team that has no player from East Asian heritage. Western Sydney’s starting eleven consisted of three Australians from ex-Yugoslavian background (Serbs, Croatians, Slovenians etc. ), an Italian, a Croat, an Albanian, a half Mauritian-half German Australian, three Anglo-Irish Australians, and an African-Australian. Versus eight Chinese, a Brazilian, and two Italians. So why didn’t I support the Chinese? Because I dislike their football – the Chinese defend and pass, the foreigners score. Evergrande go a long way in China and Asia (and even the world) with this tactic, but it does not any good for the Chinese national team. Because I dislike the bad sport of Chinese footballers. Because I dislike how working in CSL corrupts foreign players and managers. 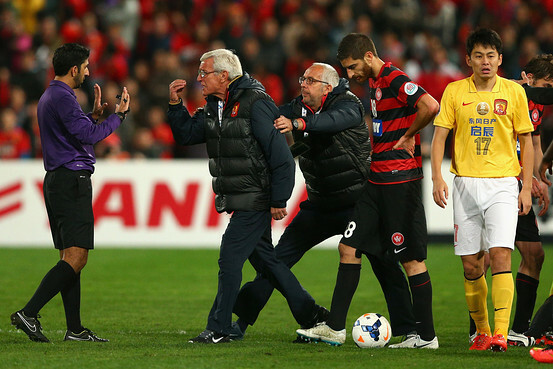 Because I dislike Evergrande’s supporters heavy handed tactics to intimidate Western Sydney. It’s more than anger against Vitor Saba’s acting. It’s pure racist hatred against the white Australians who dared to defeat Evergrande. I’m not sure about how they will treat Korean visitors, but Japanese visitors might be subjected to same, or even worse bullying. 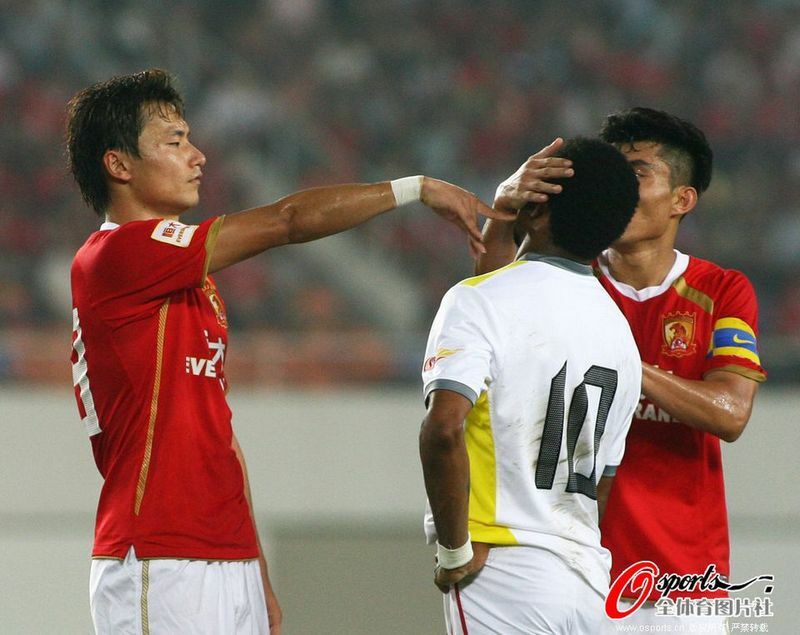 We don’t need that kind of trouble on the next stage (Evergrande will return next year). An Italian approaches an Arab. A Croat and Chinese stay away. I think I’d be neutral on the semi finals between Seoul and Western Sydney. It’s easy to go for Seoul, but I also fancy the fairy tale story of Western Sydney becoming the first A-League team to become the Champions of Asia. Just as I want Australia to win the AFC Asian Cup, despite Japan and Korea. Now, to Europe. I’m planning to visit the nearest Puma shop to buy a Borussia Dortmund merchandise, because they’ve become my dream team – a team containing an Australian, a Korean, and a Japanese. Well, Mitch Langerak is on the bench again, Ji Dong-won does not sit there at all, and Kagawa has to prove himself against Milo Jojic and Sven Bender (it’s almost impossible to challenge Marco Reus). And euh, that Armenian guy. I had the feeling Keisuke Honda would score the first Serie A goal for Milan and he did. Thank you Pippo for believing in him. Too bad Inter abandon the left midfield position so Nagatomo is a sub (unless he can overthrow Dodo, but it seems he’s better to be a left midfielder than a left defender). Son sadly played only a half as Leverkusen continued its winning run, recently against Hosogai’s Berlin, the 2 against 1 fight between Koo and Okazaki versus Kiyotake ended 0-0, while Osako scored against Stuttgart. In England, Ki earned a yellow card while Swansea are at number two, above Aston Villa (really), Manchester City, and Liverpool. Yoshida is hitori janai as Schneiderlin and Rodriguez stay in Southampton and his central back position is secured. And I can worry less about Manchester United. I think. Got over the World Cup blues? Eiji Kawashima and Shinji Okazaki have to. Belgian Pro League has restarted (at the moment he’s at the rope, having conceded two goals). He also kept clean sheet in UEFA Champions League against Panathinaikos, and must face Athens’ hospitality in three days time. Meanwhile, Okazaki scored the only goal for Mainz 05 in Europa League against another Greek side, Asteras Tripoli. 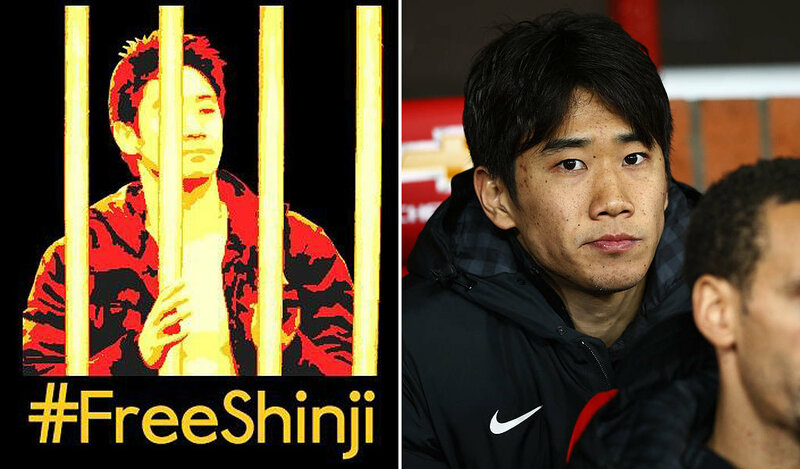 So far so good – while Kagawa and Honda are in United States, trying to keep their jobs. So let’s see how things are going to be for the rest of 2014 for Asia’s best footballers. Club record last season: 30 appearances, 0 goal. Bad. He’s still on the clean-up list of Louis van Gaal. On the up side, he can be a substitute for Juan Mata. In my life, however, fact often follows fiction, life often imitates arts. I played FIFA 14 with Kagawa in Atletico Madrid, and the Borussia Dortmund of Spain do have an interest for him. For 14 million pounds. I think he’d better to take the offer. Complication may arise when old love Dortmund calls again. Club record last season: 16 appearances, 2 goals. Plus, he scored in Brazil. It’s a wonder how come he keeps on ending behind Kagawa. Certainly he has worse time in Milan than Kagawa did in Manchester. The news is he visited FC Dallas. And that’s about it. Dallas, of course, have their own Designated Players (United States and Australia try to limit the amount of expensive imports while at the same time ensure that some notables play for the club) – Argentina Mauro Diaz, the number 10, Uruguayan striker David Texeira, and Dynamo Kiev’s loan Andres Escobar (yes, he’s Colombian). So it seems this season Honda will stay in Milan. Whether the number 10 will play enough in the field is another matter. Club record last season: 36 appearances, 5 goals. Now we are talking. Too bad he was helpless in Brazil. Like Kagawa (maybe less with Honda), he’s pretty enjoying his working holiday in United States. Rotations may happen, but he will start the game more often than Honda and Kagawa. Mark Schwarzer is still Asia’s best goalkeeper, but at this rate he seems vouching to be Chelsea’s goalkeeper coach (Schwarzer may occasionally appear in League Cup – or for some reason Mourinho has some feeling that Courtouis and Cech may be injured at the same time). Asia’s second best goalkeeper is Ali al-Habsi. Last season he played in the Championship and shared time with Scott Carson. Welcome back to the Premier League, Ali. Positions: Defensive midfielder, central defender. Club record last season: 33 appearances, 0 goal. Tell me again, was he injured just before the World Cup? Otherwise it was a total foolishness to omit him from Japan 23. Now sporting the proud number 7, he’s expected to teach some naughty things related to Berlin nightlife (I hope he would) to junior Genki Haraguchi. Club record last season: 14 appearances, 1 goal. Mainz 05 is the most Asian club in Bundesliga, with four players from three countries (added with Australia’s Nikita Rukavytsya). Koo is the club’s main attacking midfielder, and yesterday he played 75 minutes in Europa League before being substituted by Niki Zimling. He’ll do fine this season, as long he’ll score at least five goals (eight is preferable). Club record last season: 35 appearances, 15 goals. If Japan has the closest thing to a number nine, he is Okazaki. He did score in the World Cup, but not enough. As I argued, not only because he might have received better passes and crosses from Mainz team mates than from fellow Samurais, but also because he had much lighter burdens in Bundesliga than in the World Cup. He’s off to the new season with good start after scoring against Tripoli, and that what made Mainz excited, Bundesliga delighted (you got an Asian fan here. Bye bye overrated Premier League. Bundesliga is the real deal), and Japan can rebound fast toward Australia 2015. What’s more, Okazaki relieved he could break through a Greek phalanx, so he could get over World Cup completely. I’m not sure if he can repeat his 15 goals record this season, but he can come close. It’d be nice if he can score in DFB Pokal – and more in Europe. Club record last season: 43 appearances, 7 goals. Here’s another star that needs to get over Brazil. Leverkusen go to Seoul and Son has the time to get himself a girlfriend, Girl’s Day’s (that’s plenty of apostrophe) Bang Minah. Her name is not flattering at all in Indonesian but I’m sure it sounds sweet in Korean. So, two things. First, it’d be all long distance since a Korean pop idol’s agenda is way busier than a CEO. Second, any show host will make a Son reference to Minah whenever possible. And Son will have much more air time (he’s got plenty) in Korean TVs. He’s also expected to join Korea U-23 in the Asian Games held in Incheon, as Korea want to win gold medal in men’s football so badly. Korea have 3 slots for players over 23, but luckily Son is 22. We need more Asian WAGs news. Club record last season (with Nurnberg): 34 appearances, 3 goals. The forgotten attacking midfielder, perpetually behind Kagawa and Honda. Actually if Japan go for 4-2-3-1, he can be the right attacking midfielder along with Honda and Kagawa, behind Okazaki. Hannover is a mediocre club and Kiyotake will be a normal player in Bundesliga, which is just fine. Club record last season: 38 appearances, 1 goal. It’s hard to choose the last player. 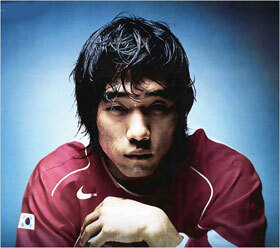 Lee Chung-yong? Another season with Bolton in Championship. Ashkan Dejagah? I would have, if only Al-Arabi, his new club, had been in AFC Champions League. Vitaliy Denisov? I don’t want to know anything that has to do with Russia at the moment (there was a time where I followed Russian Premier League). Ki Sung-yong and Kawashima are also valid options, but I need to insert an Australian. After all, Australia will host the Asian Cup, where I want the Socceroos to win (it’d be boring if Japan win again). Therefore, it’s important to see which player will lead them. Well, it’d be between Jedinak again, then Robbie Kruse trying to redeem himself in Leverkusen, Cahill, and Mat Ryan who has to stay in Belgium at the moment. Jedinak was credited as the man who kept Crystal Palace doing well in the Premier League, and was close to achieve the impossibility of playing for 38×90 minutes (injury against Fulham prevented him from unlocking this gold trophy) in the Premier League. Healed and rested, Jedinak spent late July touring United States with Crystal Palace and I look forward to see how he’s doing in the Premier League. The night after Internazionale, Robbie Fowler, and Michael Mols (he was Glasgow Rangers’ top striker in 1999, before bumping onto Oliver Kahn) visited Indonesia, ESPN Asia showed two news items on Indonesian football. First item – the negotiation between the FA and the Pro Footballers Association (including star striker Bambang Pamungkas, who was not in the friendly against Internazionale. A naughty boy for standing up against the FA). Second item, a brawl between Persija Jakarta and Persib Bandung which left three people died. The video accompanying the news showed Persija supporters, clad in orange shirts, hitting on some unidentified person(s) on the stand. The next day, the story became headline in Bandung newspapers but not in Jakarta’s. The first dead victim had been identified – a Jakartan who happened to wear blue shirt, the color of Persib Bandung. Two people were not identified yet, but one of them was a teenager. When all victims had been identified, only one was confirmed to be Bandung-born – the two others were locals. Jakartan newspapers, however, erroneously described the incident as ‘brawl between Persija and Persib supporters’. If it was a brawl between opposing supporters, we would have seen dozens of orange shirts against dozens of blue shirts. But that wasn’t what ESPN and several local channels showed. A Persija firm was quoted to blame Persib supporters for starting the incident – online. Then he blamed Persib supporters for still showing up in Jakarta, denying them their rights to support their team. He also admitted that Persija’s ultras demanded to see IDs of people they suspected to come from Bandung. Media agreed that the police didn’t offer enough protection for the Persib team and to any away supporter. Last weekend, a rumor was spreading throughout BlackBerry Messenger (and text messages, for those unlucky enough to have Android and Windows phones rather than BB) – cars sporting Jakartan plates would be hunted down in Bandung for revenge. Many Jakartan residents visit Bandung for weekend trip and the rumor did unsettle many of them. Persib had a match on Saturday which went peacefully, and its firms handed out flowers for cars entering Bandung. The media coverage and the rumor showed a glaring difference between football culture in Jakarta and Bandung. First, in Indonesia no Chinese will watch a football match in a stadium. It’s the same rule like in South America, half of Europe (which some unfortunate Asians experienced in Ukraine), and half of Southeast Asia. But in Bandung, many middle class Chinese love Persib Bandung. They buy the merchandise, their mood is affected by the result, and they know the players. Bandung newspapers show previews and reviews at the headline and the sports page. They tune in for the match, even if they never dream to enter the stadium. They also avoid the streets before and after the match. That kind of statement, added with the spreading of Bandung rumor, terrified me on what has happened to Jakarta. Everywhere, angry men from the slums and the projects look forward for the matchday for a reason – they can be kings in the stadium and on the streets. The level of supporters’ violence and brutality correspond with the national level of corruption and poverty, although I’ve heard that Swedish stadiums could be unsettling as well. Bandung ultras’ attitude are somewhat controlled by focused attentions from Bandung media and middle class, who advocate fair play and rationality through Twitter, newspapers, and programs on local channels. Unfortunately, I have the impression that Jakarta’s middle class – all, not just the Chinese – steers away from Persija and not only because they are terrified with the ultras. In the capital, local football is seen as a poor man’s game, and a proper affluent person would only pay attention to Internazionale and the national team (because nationalism is cool here). The disengagement, even if it’s not realized by both classes, prevents the check and balance culture that is working in Bandung. The sub-working class is thinking that Persija is their pride against the world, and even might desire for the shock values of their violence and defiance. Your color might be red and blue, sucker, but mine is orange. In the 1980s, when the league was still semi-pro, rivalries between Persija and Persib had been developed, along with Persebaya Surabaya. When the professional league was developed in the 1990s, Jakartan middle class looked at some others glitzier clubs, especially Pelita Jaya, which recruited Roberto Donadoni and Roger Milla. Now that PJ has moved out of the proper capital, Persija is still the only Jakartan team, and its working-class root and image are only hardened. Outside Europe, we Asians have the privilege to choose our favorite EPL team. MU or now MC? Chelsea or Arsenal? And we can mock our friends whose favorite team loses for this week as if they are native of that city. I can only imagine that as an Englishman, you can’t feel love for another team but your hometown, or your parents’. My best friend’s father hails from Charlton, London, and he cannot bring himself to love Arsenal, although his son does. We are bemused by Europeans who ask “I’m going to move to this city in Asia. Which club do you recommend?”, as we care not for Asian clubs. In Australia I was relieved to see that many Asian-Australians don’t care at all about Australian rules football or rugby (or any team sport for that matter), but I was also impressed by Asians who went to the stadium to support Melbourne Victory or the Socceroos. I’m still yet to see any club football beyond on the television. My first and only football match so far was Australia v France friendly in 2001. I don’t dream I can see Persib or anything while in Indonesia. I would only able to come to a football stadium in Singapore, Australia, Hong Kong, Canada, and so on (yes, club football in Australia was also a vicious affair before 2005-06). But that doesn’t hinder my feeling for Persib. I don’t see how the middle class in Jakarta would support Persija. Perhaps they don’t have to. But if they can give a little care and attention for the city’s only football team, it may help the city a bit. The sad thing was Manchester United lost. Because they were lost, nobody really remembered Park Ji-Sung equalizer. In the same night, my wish from the previous post came true – Shinji Kagawa scored two goals against Hoffenheim, and Mike Havenaar scored for Vitesse before PSV put an end to their hope of a comeback. Hajime Hosogai also helped Ausburg scoring equalizer against Kaiserslautern. The only dent was Koo and Hasebe’s inability to fight Bayern Munich. Kagawa and Havenaar’s performance both grabbed modest attention in Japanese media on Sunday, as well as assorted sports site. Unfortunately, they play in Germany instead of England. In the rest of Southeast Asia there are raging debates every day on EPL clubs, while in Indonesia people abuse each other over Madrid v Barcelona, but no one watches Bundesliga, let alone Eredivisie. On Sunday, however, the fortunes of the Koreans and the Japanese turned over. Nagatomo played full time in Inter’s suprise defeat to Lecce, Okazaki came in at the start of the second half but Stuttgart were badly damaged in the last ten minutes, Uchida played only for the first half and got a yellow card to boot (and Schalke was able to turn the table once he was gone), and Yoshida was helpless as RKC mistreated VVV. Ji and Chu-Young spent the whole match again on the bench. Still, credit to Kawashima for clean sheet in away victory against Westerlo. What’s the lesson? First, at least watching Japanese and Korean attackers are much less depressing than five years ago, when you got Takahara and Ahn and Seol and Lee Dong-Gook attempting to make a break in England and Germany. No, please don’t remind me on the last day of the Japanese in Serie A (I’m not talking about Yuto. I’m talking about Ogasawara, Yanagisawa, Oguro. And Morimoto). But as expected, their defensive sides, while have secured their names in starting XI, are still shaky. Even my favorite Lee Jung-Soo lapsed in the second half and almost letting go a three goals advantage as Al Sadd registered narrow 3-2 against Al Ahli in Qatar. I think that’s all about Japan and Korea. Anyway, yesterday I found two names – first is Hiroshi Ibusuki, the current top scorer of Spain’s Segunda B Group 4. He plays for Sevilla B. A former youth player for Kashiwa, he has lived in Spain for three years and scored 35 goals. How about that, scoring 35 goals in Spain before you are 21 year old. In Japan U-23, however, he is still ranked behind Yamazaki, Nagai, Osako and Usami, just to name a few. The second name is Xavier Chen, playing for Mechelen. I was wondering how could a Taiwanese playing in the Belgian Premier League, seeing that no Taiwanese plays even in Hong Kong First Division or J.League Division 2. Turned out he’s half-Belgian, the Taiwanese football federation claimed to know him when playing FIFA 12 (talking about scouting), and said that they had to race China which was also approaching Chen. I don’t think China is one of federations which are keen to naturalize foreign-born players, but let’s just leave the story like that. On the other hand, Indonesians are in love with Radja Nainggolan, half-Indonesian Belgian midfielder playing for Cagliari, who was linked with Juventus, which is still a popular club in Indonesia. I’m glad that he has played twice for Belgium so Indonesian football federation cannot approach him for *sigh* naturalization. FYI, in FIFA 12 Chen is rated 67 while Nainggolan’s rating is 76, making him one of the top Asian players in the game, ethnically.